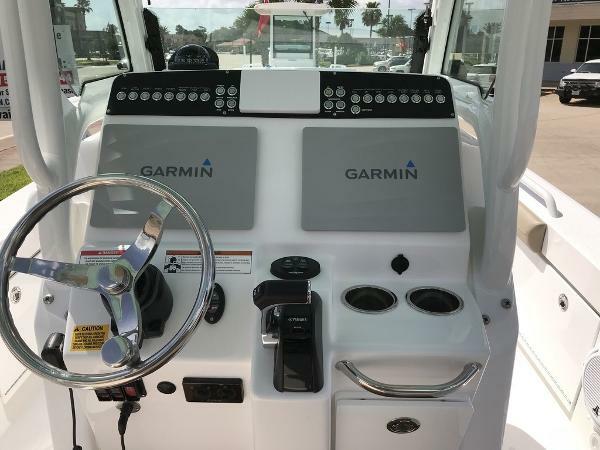 2019 Everglades 253 Center Console Experience your next obsession... The 253cc. 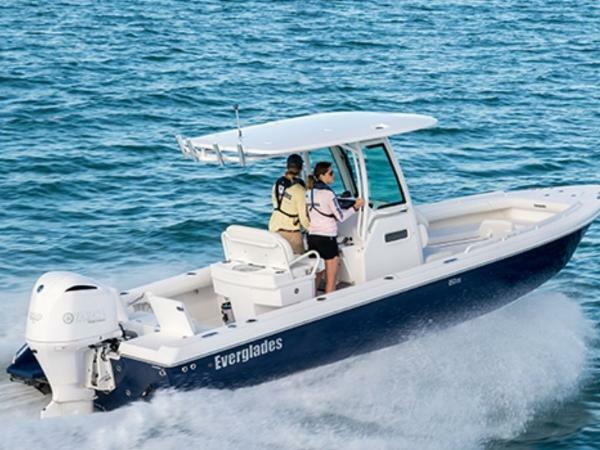 This completely redesigned hybrid bay/offshore boat includes the best features of Everglades’ favorites, the 243cc and the 273cc, with some additional attributes to boast about. Experience Your Next Obsession Pack your Yeti Hopper -- the 253cc is equipped with two Hopper holders to easily load and unload coolers for drinks and ice, in addition to the massive built-in 87qt EverCooler beneath the forward console seat. The low-profile, powder-coated bow rails and pop-up cleats combine with the 91-square-foot cockpit to give you all the space and freedom to move around that you need. The under gunwale port and starboard rod storage and dry storage, lockable rod storage with cushioned protection under the forward bow seating, 26-gallon livewell, and 69-gallon in-floor insulated fishbox makes the 253cc ready to fish in any conditions. Comfort is easy to find on the 253cc. 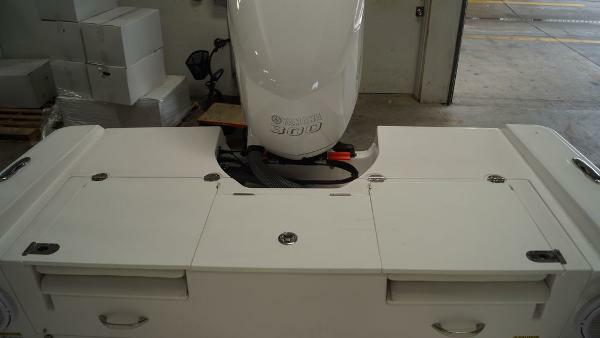 Two incredible foldaway stern seats are located on either side of insulated storage. When not in use, fold the seatbacks down to use the huge aft casting deck. Forward-facing bowseats have detachable backrests for the most comfortable ride underway. A perfect marriage of comfort and functionality, the elegant 253cc is sure to impress. 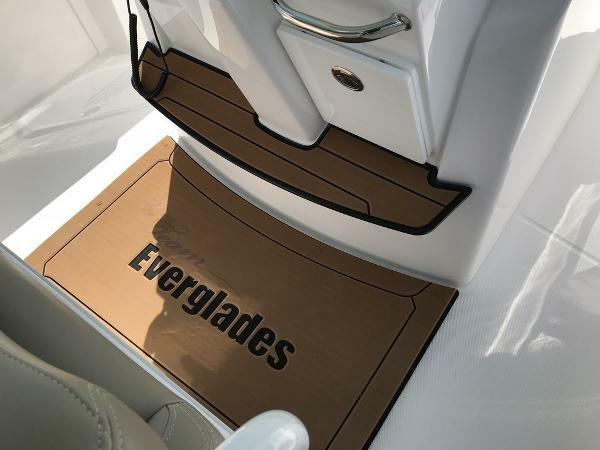 Features may include: Construction Setting ourselves apart, Everglades Boats focuses on quality in-house construction – highlighting patented innovations and a luxurious fit and finish. Deck & Cockpit With every Everglades model, you can expect our ground-breaking engineering processes, precise craftsmanship, and our unparalleled quality and safety standards. Mechanical & Electrical Each feature of our unsinkable boats is handmade in-house in our state-of-the-art facility and put through rigorous quality assurance testing before it’s deemed seaworthy. Console & Hard Top Fiberglass hardtop with aluminum powder-coated frame, including LED lights, spreader lights, electronics box, and hydraulic sliding windshield. 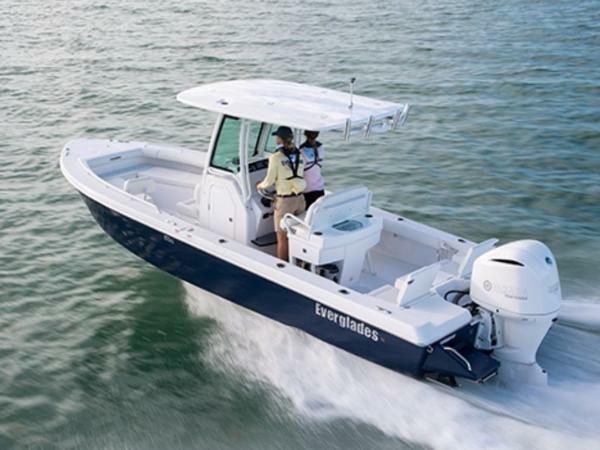 Fishability Everglades Boats are built from the ground up to be fierce fishing machines. Every boat that leaves our factory is ready to fish – and look good doing it. Seating Take a seat and enjoy the ride! 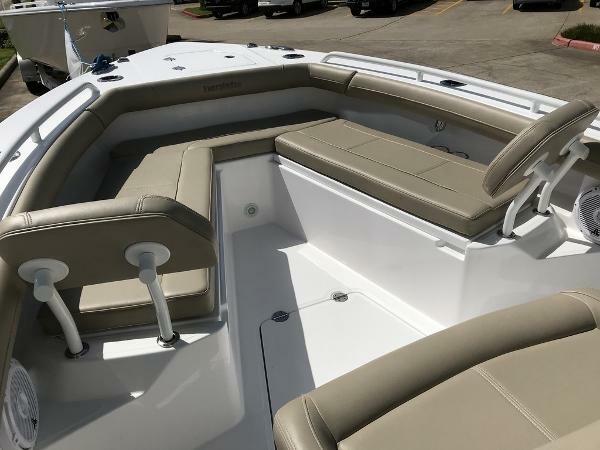 Our seats are custom built for the 253cc, including bow seating with removable forward facing backrests and locking storage, cushioned forward console seating, and aft folding seats.